Morning sky of the Blue Ridge Parkway as a slice of the horizon. What a lovely area that we live in . . . . and I get to paint. I am hanging this painting and several others at Hot Cakes on Sunday morning, so come out and have a cup of coffee with the Blue Ridge! 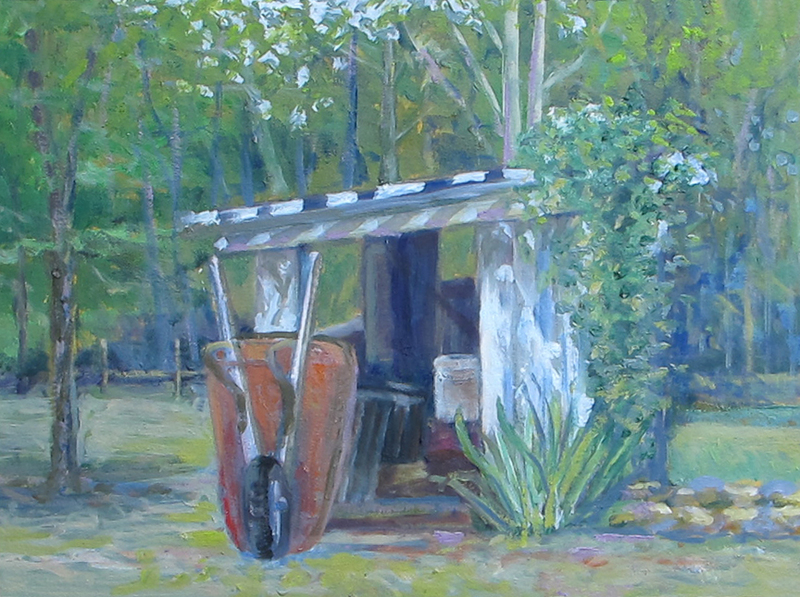 12" x 60" oil on canvas, framed $850. SOLD, thanks Sam! A commission for Frank for his birthday, Happy Birthday Frank! I LOVE painting this scene from the road of route 692 . . . but next time I will try another spot. So many places at Mirador to choose from . . . . I will take my camera and wonder around the out-skirts. 20" x 36" oil on canvas framed. Thanks Frank! What a gorgeous day yesterday to paint! I went up to look out at Afton mountain from where route 691 and 692 meet at Plank Rd. I had been eying this spot for a while, just a pull-off on the road. 20" x 20" oil on canvas, framed $ 385. SOLD thanks Beth! 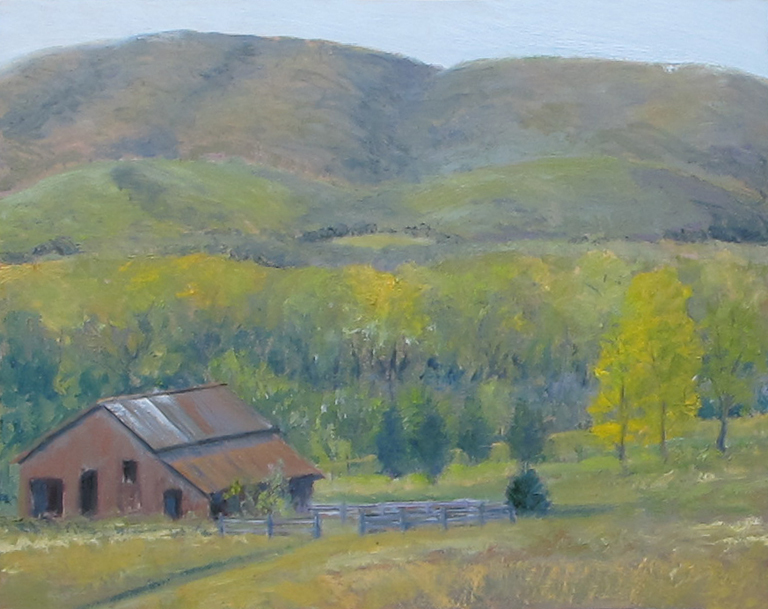 Henley's barn on route 811 is right north of Crozet and Henley's have a wonderful apple orchard that this barn is across from. I believe they have horses at this barn even though I didn't see them there. 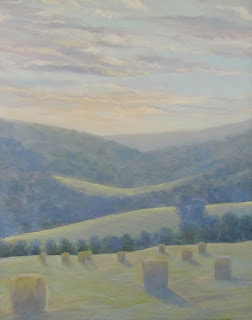 11" x 14" oil on canvas, framed $225. 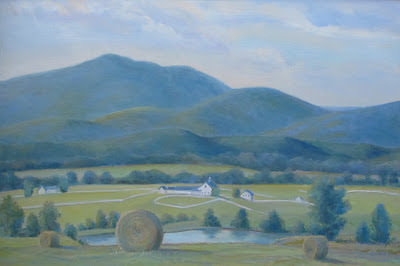 This is a commission for Molly and her family near Batesville, VA, not far from our home. I had invited three painting friends to come paint also and there where young children running around that made it all more fun. I need to tweak this a bit but close to being done. 30" x 40" oil on canvas. Thanks Molly! My second painting from the Miller School Paint-Out last weekend, their abandoned barn in their upper meadow where the track team runs. Thanks to everyone who helped made this weekend successful! 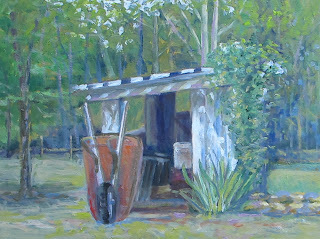 11" x 14" oil on treated paper, framed $200. 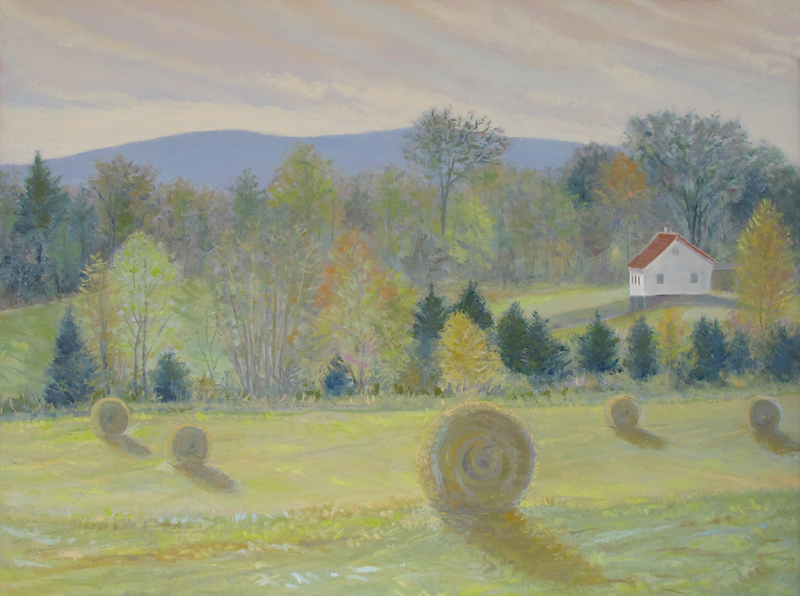 This is from the Paint-Out this past weekend up at Miller School here in Crozet. Several friends and I (below is Nancy, Eileen and Barbara in the back). The painting is a bit more detailed than what I am used to. 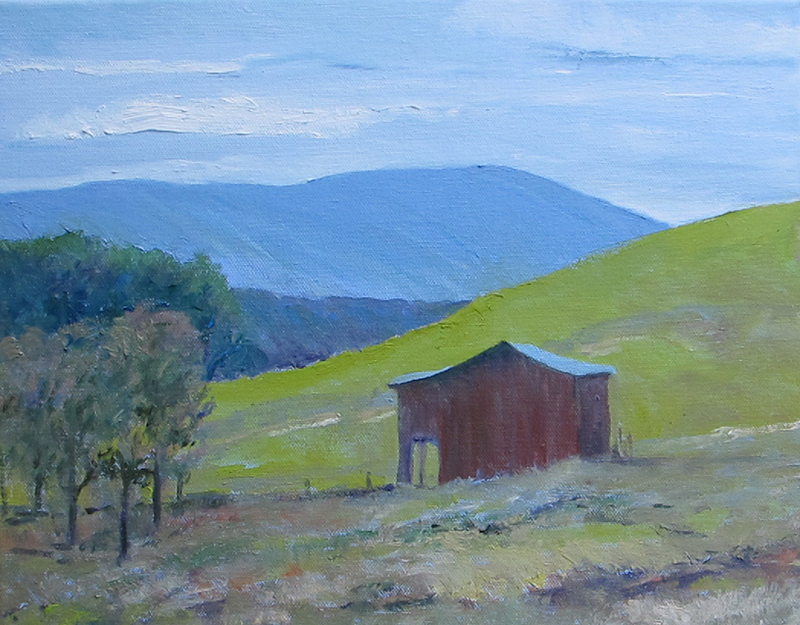 Will post a painting of the barn from this spot tomorrow. The show will be hung soon with an opening next Monday October 24 from 6 to 7:30 and will be up till December 16th. 12" x 24" oil on canvas framed, $300. SOLD thanks Jane! 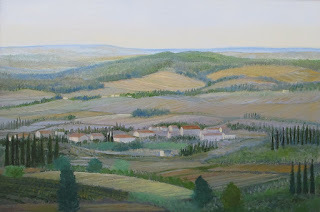 I painted this a few years ago after Cary and I got back from 10 days in Tuscany. I didn't have my paints with me but next time for sure! I have one other that I will post soon also. (This was borrowed and in a Orange County B & B for over a year). 24" x 36" oil on canvas, framed, SOLD. 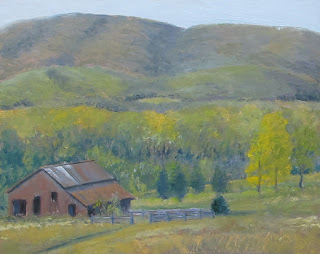 Here is a little study of a barn near our place in Crozet. I have painted it before but is always a bit different on each day. 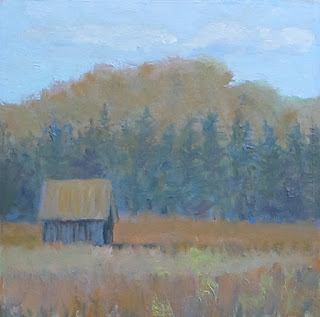 6 1/2" x 6 1/2" oil on board, framed $85. 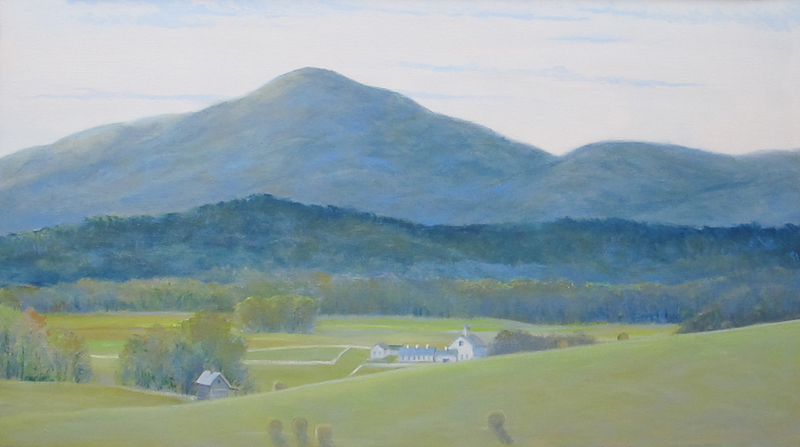 The Crozet Art Festival went well this past weekend and I will indicate what paintings sold . . . thanks to all that came out! . . . SOLD - thanks Julia and Vignesh! This is a small painting that is up at Skyline Parkway that I did recently. 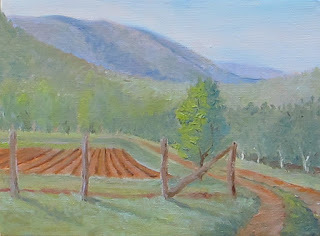 6" x 12" oil on canvas, framed $125. SOLD going to Atlanta! Thanks Melissa! 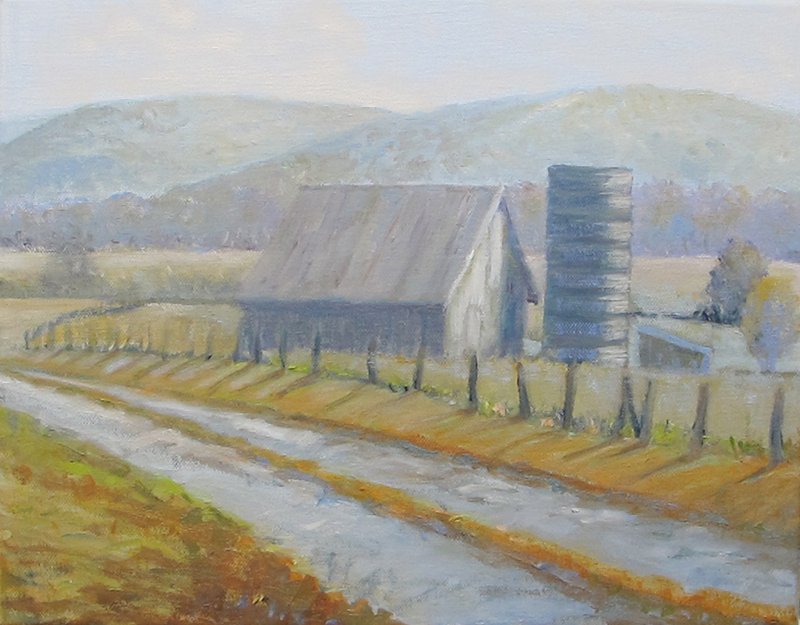 This is painted for the Roesch's as a commission of Mirador Farm. I started this summer when I got permission to go out when they where baling hay one evening. I just finished it for the Crozet Show where they will come to pick it up. 24" x 36", oil on canvas. SOLD Thanks Anne! 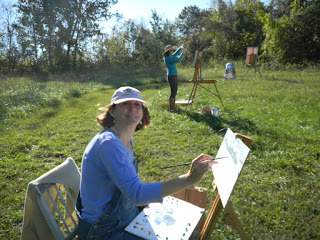 Eileen and I painted at Possum Hollow in Lexington on Saturday morning with the wind blowing steadily. 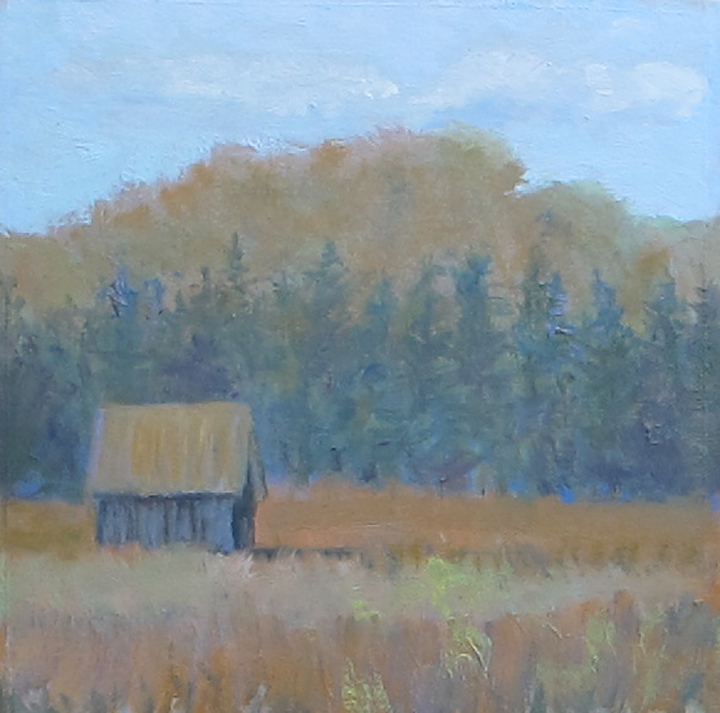 This is a simple painting of the barn in the distance but loved the basic colors against each other. I did a small one as well . . . both at C-ville Arts 16" x 20" oil on canvas, framed $325. SOLD - thanks Julia and Vignesh! Eileen and I went to Lexington this weekend to do a two day Paint-Out at the Nelson Gallery with about 25 local painters. 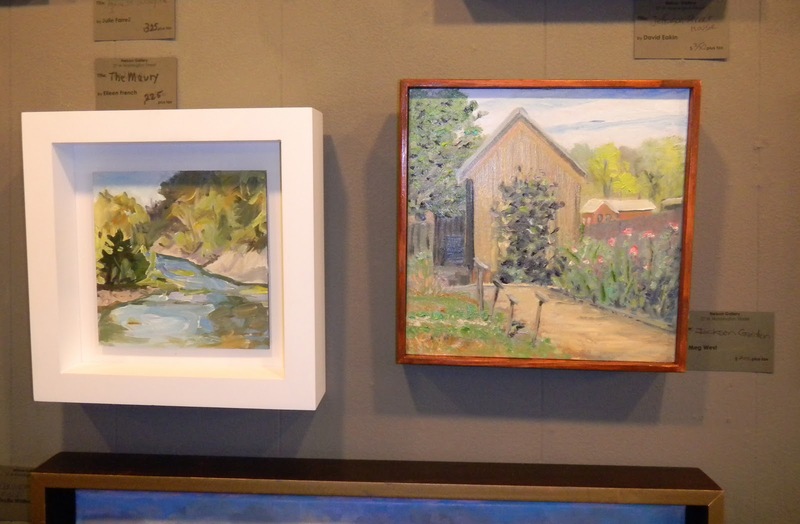 We had great fun and got to know several of the nice folks running the gallery and the painters . . . . 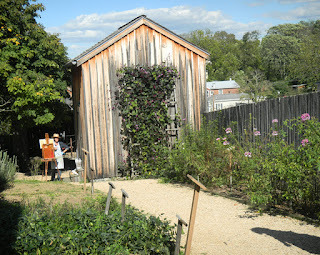 Above is one of Eileen's paintings of the Maury River and mine of Stonewall Jackson's Garden, with photo of the garden next to his house. 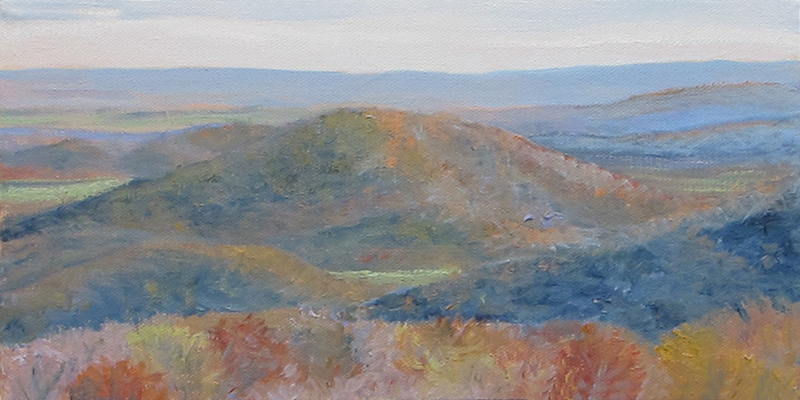 I went up twice to paint at one of my favorite spots on the parkway and Polly came up with me the second time when I needed to go back. This is not at an official overlook but between two. 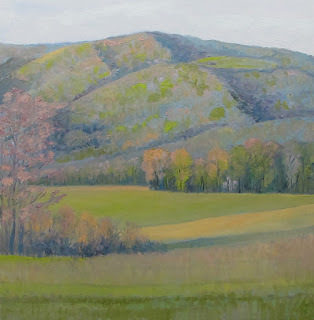 I LOVE to paint from this spot in every season and have done all but the winter, perhaps this year I will bundle up and try. (A hold on this for Ryan till after the weekend.) 24" x 48" oil on canvas, framed SOLD! thanks Ryan and Bethany!